Moët Hennessy introduces Ao Yun into Singapore, a premium red wine made in the northwest corner of China’s Yunnan province near the foot of the Himalayan mountains. 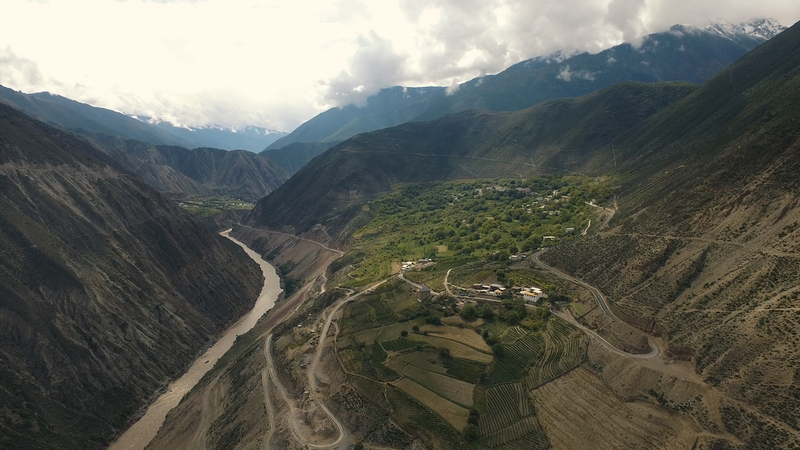 Ao Yun, made in the remote highlands of the legendary Shangril-La in Yunnan, was born out of Moët Hennessy CEO Christophe Navarre’s belief that China had the potential to make great wine. And despite the country’s sometimes troubling history where product manufacturing safety and quality control can be lacking, Navarre had a vision that somewhere in China’s sprawling landscape was terroir uniquely suited for top quality winemaking. To that end he commissioned Australian oenologist Tony Jordan – also CEO of Cape Mentelle, Cloudy Bay, and Domaine Chandon – on a three year exploration of China to find such a region. Unbeknownst to many people China already has a history of making wine; considering the vastness of the country some part of it would inevitably fall within the temperate latitudes suited for the growing of wine grapes. 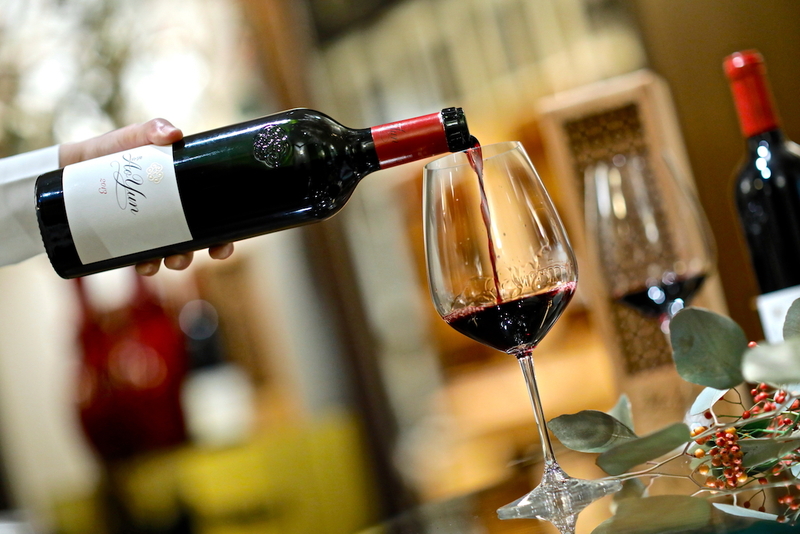 In fact, wine has been proven to be made in China as early as 7000BC; and while most production is largely dedicated for the domestic market, some of those made in the Chinese provinces of Xinjiang and Ningxia have already gained some level of international recognition. Jordan eschewed those provinces, however, and finally found his way to Yunnan where he stumbled upon the villages of Adong, Xidang, Sinong, and Shouri located at the foothills of the Himalayas. The continental climate there, he found, was eerily reminiscent of maritime Bordeaux despite being hundreds of miles away from the nearest large body of water. And as though to validate his findings, Jordan would discover grape vines scattered all around those autonomous villages growing alongside food crops. He would later find out that these vines of mostly Cabernet Sauvignon and some Cabernet Franc were initially planted by Jesuit missionaries in the late 1800s, no doubt for the making of sacramental wine. But the logistical challenges of actually making wine in the area would stretch even Moët Hennessy’s resources and patience. 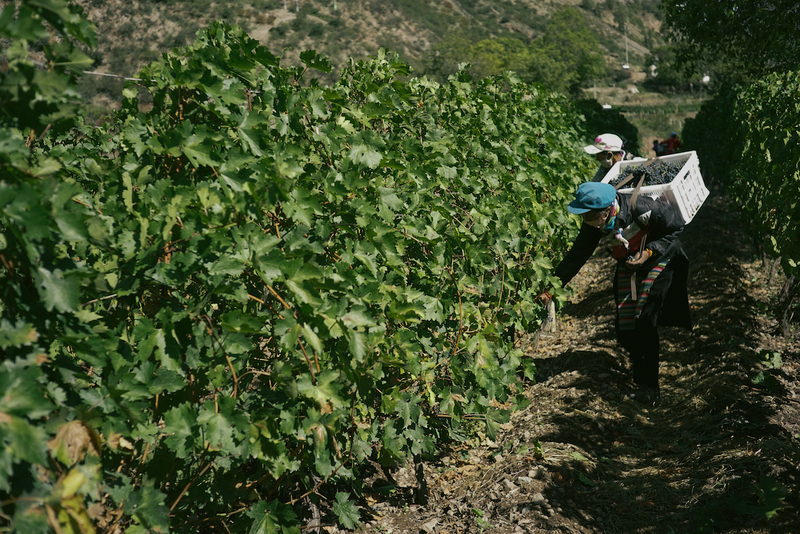 Jean-Guillaume Prats, President and CEO of Estates & Wines at Moët Hennessy, recounted the difficulty in transporting essential equipment over long and winding mountain roads. “Our stainless steel tanks arrived too late; it was impounded by police because the driver bringing them had ran over someone,” recalled Prats, who’ve visited the winery at least 14 times since it started. They were forced to instead ferment the wine in amphorae – used for the making of Chinese liquor – hurriedly purchased. New oak barrels were used too, as the aged oak hadn’t arrived in time either. Even the sorting table couldn’t be used, since there wasn’t a reliable supply of electricity. Another huge challenge was actually getting talent to relocate there; nobody really wanted to live in an area where only the most basic of amenities were available. The locals were full of zeal and willing to learn, but were hampered by the lack of winemaking knowledge and language. Instead Moët Hennessy has to settle for sending winemaker Maxence Dulou, born and raised in le Sauternais and trained on classic Bordeaux winemaking techniques, to be based in Shangri-La, while arranging for a translator on-site to translate instructions in Chinese into the local dialect. Despite those challenges, Prats realised they had stumbled on something good when British wine writer and critic Jancis Robinson, MW visited the remote winery and was full of praise. “What I was tasting were wines most influenced by the pure vineyard characters,” she had written. Later vintages were even better, once the necessary equipment – the aforementioned stainless steel tanks, for example, as well as aged oak barrels – were all finally in place. The name for this new wine? Ao Yun, or “roaming above the clouds”, in honour of the mountain eyrie that overlooks the four villages in which the wine was being made. The first Ao Yun vintage of 2013 – made in the most classic Bordeaux red blend 90% Cabernet Sauvignon and 10% Cabernet Franc of which only 24,000 bottles are available – was released to the United States market in mid-2016 at a retail price of US$250 per bottle; it was quickly listed on fine wine market Live-Ex almost immediately, the first made-in-China wine to do so. Ao Yun 2013 is currently available in Singapore, with just 400 bottles allocated. Interested buyers can contact Moët Hennessy Diageo Private Client Manager Clementine Wee at clementine.wee@mhdsg.com. Price is upon asking.